On the surface, Houston, Texas in the USA is the epitome of urban sprawl; making it challenging to get to know it well on foot. Beneath the skin, Houston infuses business acumen with Wild West mentality. This led to Houston’s tremendous growth in terms of land area and petro dollar revenue; in turn fueling Houston’s ambition to be a cosmopolitan metropolis despite the ubiquitous cowboy boots. Book and pick up a Houston motorhome rental, campervan hire or RV rentals for a camping vacation in Texas. Houston is 600 square miles huge; making it imperative to explore this city on a Houston motorhome rental from Cruise America in Texas. There are plenty of districts that have their own character; but the heaviest concentration of attractions can be found in the 10 miles between downtown and the 3-million-square-feet The Galleria mall to the east. This area is where some of the country’s largest energy companies are headquartered; and is the centre of Houston’s theatre and entertainment district. Neartown is about 3½ miles southwest of Houston and is an LGBT enclave peppered with eclectic stores, resale fashion boutiques, antique shops and funky pubs. Six miles further west is the West Loop where the oversized The Galleria can be found; as well as over-the-top mansions and insufferable traffic. Six miles north is the leafier district of North Loop where picturesque Victorian homes and an affluent lifestyle can be found. 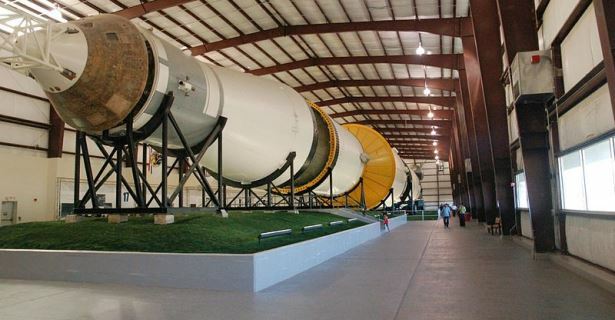 The Lyndon B. Johnson Space Centre is only 27 miles southeast of downtown, and can be directly driven to on your RV rentals or campervan hire via the Gulf Freeway, turning left at Webster and into Clear Lake. The Space Centre is the official NASA Houston visitor centre where space freaks can see the Mercury 9 and Gemini 5 capsules and the Apollo 17 command module on display. Houston is only an hour’s drive away from the Gulf Coast city of Galveston on the southeast; and also an hour away on your RV hire Houston from the less crowded beaches on Surfside, directly one hour south of Houston via state highway 288. If you drive your Houston campervan rental in Texas in the opposite direction, the BBQ Trail starts 280 miles west in Hill Country and ends in San Antonio, the heart of chili country. But more than just a place for spicy stew, San Antonio offers a rich perspective on the Spanish influence on the state of Texas. Think The Alamo – and plenty of restaurants to let you indulge in other Tex-Mex favourites. 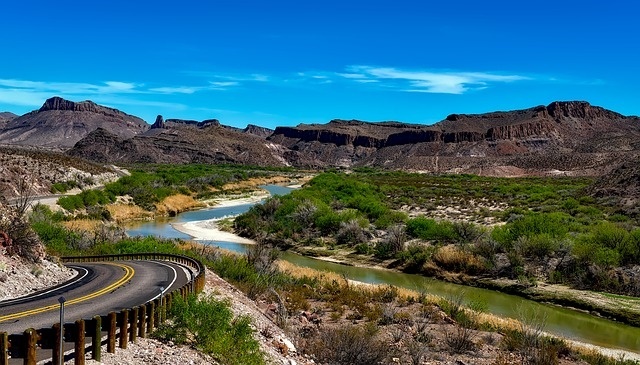 See the Rio Grande River in remote Big Bend National Park; a wildlife haven located on the border with Mexico. If you hit the road in the second week of November, it’s just one hour northeast to Austin for some adrenaline fueled races in the US Grand Prix. To cap off your RV rental Houston road trip, follow the Wine Trail from Austin to Fredericksburg, four hours northeast. Picking up your Houston motorhome rental and campervan hire in Texas is easy. The national RV rental and sales company Cruise America maintains an office close to George Bush Intercontinental Airport. You can choose from a wide range of models. Book online to choose the best deal for your RV rentals in Houston Texas vacation or holiday.